In its Resolution of 5 April 2017 on negotiations with the United Kingdom following its notification that it intends to withdraw from the European Union, the European Parliament advocated for the fair treatment of EU-27 citizens living or having lived in the United Kingdom and of United Kingdom citizens living or having lived in the EU-27. The EP also demanded that the status and rights of EU-27 citizens residing in the United Kingdom and of United Kingdom citizens residing in the EU-27 be subject to the principles of reciprocity, equity, symmetry and non-discrimination. 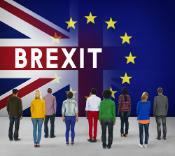 There are many aspects to be taken into account when analysing the situation of those citizens: the Committee on Employment and Social Affairs, the Committee on Civil Liberties, Justice and Home Affairs and the Committee on Petitions held a joint hearing on the situation of EU citizens in the UK on 11 May 2017 from 15.00 to 18.30 in room Paul-Henri Spaak (PHS) 3C050.